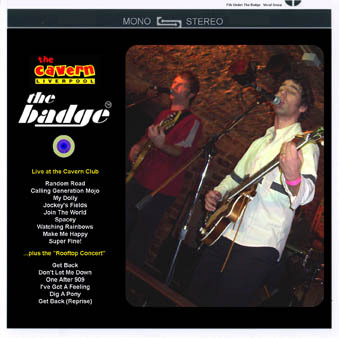 from "The Badge: Live at the Cavern (Limited Edition Release: The Bootleg Series Volume 3)"
A download only release featuring The Badge's recent Cavern Club appearance, with bonus tracks from the band's 35th anniversary recreation of The Beatles' infamous rooftop concert. © 1997-2004 SLATE. All rights reserved. Please see copyright page for further information.